In this months Tips and Tricks section, we're focusing on the use and function of the Farrowing Control Chart to monitor herd performance in PigCHAMP Reproductive, and how to Import Feed and Packer Data into the Grow-Finish program. 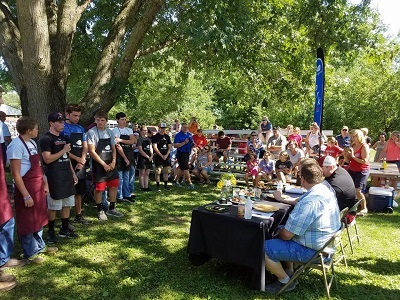 At the end of July, we partnered with the Story County Pork Producers and Smithfield Foods to host the 2nd Annual Youth Grilling Contest at the Story County Fair Grounds. Local 4-H clubs and FFA chapters put their cooking skills to the test, serving their meal to a panel of judges. All of the teams did an outstanding job and we look forward to helping host this event again in the future! Trade show season is fast approaching! 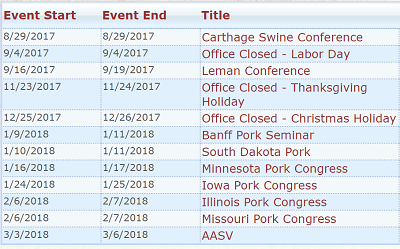 We're attending a number of events this fall and winter that we would love to see you at. Check out the schedule below go the to event page on our website to learn more.